Mini Jones is adamant he doesn’t like banana, and I’ve tried coaxing him in various ways, however nothing convinced him otherwise. With a couple sitting in the fruit bowl turning brown, I thought I’d might as well make some muffins rather than see them go to waste. Mr Jones and I tasted them first and thought if Mini Jones wasn’t too keen, we’d eat them. However he loved them! 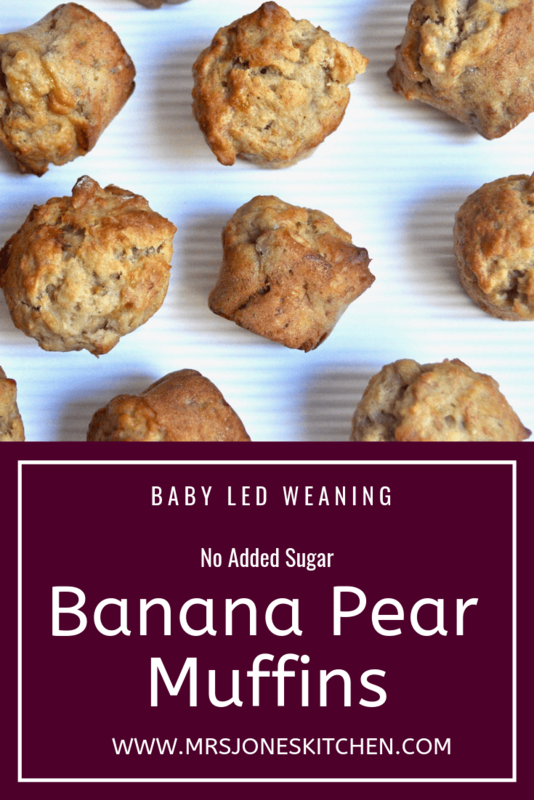 They don’t contain any added sugar, and are more than sweet enough from the banana and pear. They freeze beautifully. Mix the flours, mixed spice, baking powder and bicarb together in a large bowl. In another bowl, mix the mashed bananas with the egg and olive oil. Finely grate the pear (or apple) straight into the egg mixture, to capture any juice that comes from grating the fruit. Lightly mix the wet and dry ingredients together – if you mix too much it can make the muffins heavy. 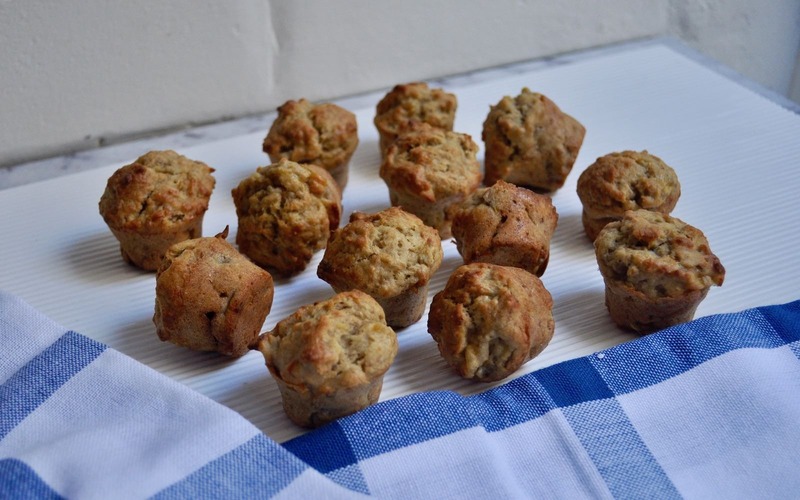 Spoon into a mini muffin tray – about 1 heaped tsp mixture per muffin (they should be quite full). Bake for 15 minutes, until golden and springy to touch. Leave in tin a couple of minutes then move to wire rack to cool completely.